He said, "Son of man, these bones are the whole house of Israel. They say, 'Our bones are dried up and our hope is gone; we are cut off.' Therefore prophesy and say to them: 'This is what the Sovereign Lord says: O My people, I am going to open your graves and bring you up from them; I will bring you back to the land of Israel. Then you, My people, will know that I am the Lord, when I open your graves and bring you up from them. I will put My Spirit in you and you will live, and I will settle you in your own land. Then you will know that I the Lord have spoken, and I have done it,' declares the Lord" (Eze. 37:11-14). "Fear not, for I am with you. I will bring your seed from the east, and gather you from the west. I will say to the north, Give up; and to the south, Keep not back; bring My sons from far, and My daughters from the ends of the earth..." (Is. 43:5-6). "In that day, the Lord will reach out His hand a second time to reclaim the remnant that is left of His people, who will be left, from Assyria, and from Egypt, and from Pathros, and from Cush, and from Elam, and from Shinar, and from Hamath, and from the coastlands of the sea. And He will set up an ensign for the nations, and will assemble the outcasts of Israel, and gather together the dispersed of Judah from the four corners of the earth" (Is. 11:11-12). 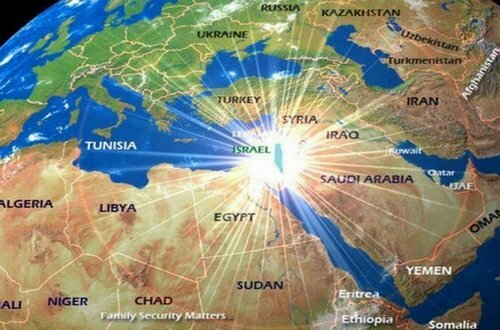 What makes Israel important to end-time prophecy are the many Scriptures that indicate that Israel will be the main setting for key tribulation events. "And when they shall have finished their testimony, the beast that ascendeth out of the bottomless pit shall make war against them, and shall overcome them, and kill them. And their dead bodies shall lie in the street of the great city, which spiritually is called Sodom and Egypt, where also our Lord was crucified" (Rev. 11:7-8). 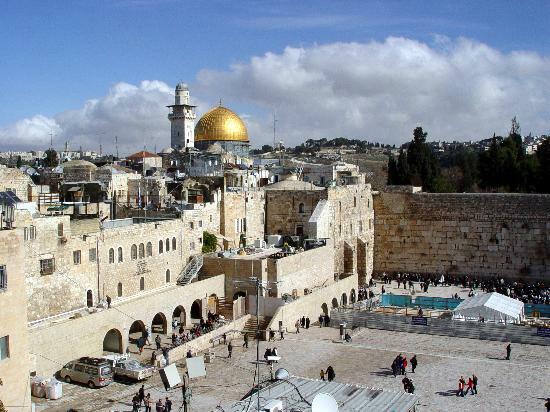 Is Modern Israel Fulfilling Prophecy? Is the current state of Israel a work of God as predicted in Bible prophecy or is it merely an accident of history? I believe that modern Israel is a Divine work and is in the process of fulfilling Bible prophecy. I believe that Israel, as she is constituted today, is a work of God in progress preparing the nation for the tribulation, which will lead to her national conversion, the second coming of Christ and His millennial reign. On the one hand, there is great support for Israel generally among the Evangelical Christian Community. This is likely the main reason that opinion polls in the United States show great support for the modern state of Israel, in contrast with Europe, which tends to overwhelmingly support the Arabs. It is not the Jewish lobby that is so effective in America, while they struggle across the Atlantic. The reason there is such great support for Israel in the U. S. A. is because biblical Christianity resonates more here than in the Old World. There are not many Bible-believing Christians in Europe compared to this country. Further, there is a greater number of Muslims in Europe than in North America. Their influence is driving opinions in Europe in much the same way that Evangelicals tip the scales in this country. While the larger majority of Evangelicals have always supported Israel, the Jewish community is only recently becoming convinced of this support. National Review' s Rod Dreher says evangelicals who hold a " divine right" viewpoint support Israel with an " uncritical fervor that exceeds that of even some American Jews." Orthodox Rabbi Daniel Lapin, in an article posted May 7 on National Review Online, says American Jews are " waking up" to Christian support. 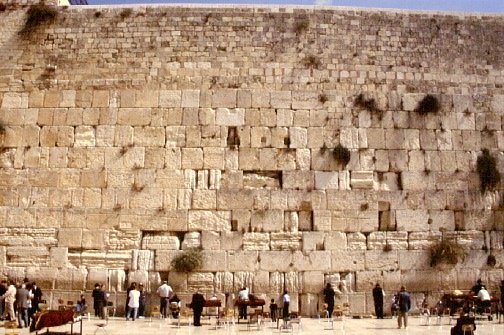 For many Evangelicals, the modern state of Israel is such an important item, that it will be the central issue by which they will determine who to vote for in this year' s election. For Christians like myself, we believe that it is still a dictum of history that God will bless those who bless Israel and curse the one who curses Israel (Gen. 12:3). Even a number of dispensationalists today say that there is a restored nation of Israel in God' s plan for the future, but there is no reason to think that the current nation of Israel is necessarily prophetically significant. Current president of Dallas Theological Seminary, Dr. Mark Bailey said, Is that what is happening today? I can' t say for sure. It is the first time in 2,500 years, though, that you have this kind of constitution of people in the land, but I don' t know what that means. This may be the prelude to end-time events, but I think we' re presumptuous if we try to give it meaning beyond that. It may be, that' s all we can say. It is not surprising, in light of his view of the present state of Israel, that Dr. Bailey recommends Christians not support Israel politically. There are many reasons why we can say that the modern state of Israel is prophetically significant and of stage-setting significance for the tribulation. I will list a few here, but will do a more thorough job in a forthcoming book. First of all, Israel is not going to get pushed into the sea. Second, France, England, Germany and the United States are not mentioned hundreds of times throughout the Bible as is the case with Israel. The Bible says many times that Israel is not done in history, but many Christians act as if that were not true. Paul said in Romans, " I say then, God has not rejected His people, has He? May it never be!" (Rom. 11:1a). There are dozens of biblical passages that predict an end-time regathering of Israel back to her land. However, it is a common mistake to lump all of these passages into one fulfillment time frame, especially in relation to the modern state of Israel. Modern Israel is prophetically significant and is fulfilling Bible prophecy. But readers of God' s Word need to be careful to distinguish which verses are being fulfilled in our day and which references await future fulfillment. In short there will be two end-time regatherings: One before the tribulation and one after the tribulation. The re-establishment of the Jewish state in 1948 has not only thrown a wrench in amillennial thinking, but it has also thrown a chink in much of premillennial thinking. Amazingly, some premillennialists have concluded that the present state of Israel has nothing to do with the fulfillment of prophecy. For some reason the present state some how does not fit their scheme of things, and so the present state becomes merely an accident of history. On what grounds is the present state of Israel so dismissed? The issue that bothers so many premillennialists is the fact that not only have the Jews returned in unbelief with regard to the person of Jesus, but the majority of the ones who have returned are not even Orthodox Jews. In fact the majority are atheists or agnostics. Certainly, then, Israel does not fit in with all those biblical passages dealing with the return. For it is a regenerated nation that the Bible speaks of, and the present state of Israel hardly fits that picture. So on these grounds, the present state is dismissed as not being a fulfillment of prophecy. However, the real problem is the failure to see that the prophets spoke of two international returns. First, there was to be a regathering in unbelief in preparation for judgment, namely the judgment of the tribulation. This was to be followed by a second world-wide regathering in faith in preparation for blessing, namely the blessings of the messianic age. Once it is recognized that the Bible speaks of two such regatherings, it is easy to see how the present state of Israel fits into prophecy. In 1948 when the modern state of Israel was born, it not only became an important stage setting development but began an actual fulfillment of specific Bible prophecies about an international regathering of the Jews in unbelief before the judgment of the tribulation. Such a prediction is found in the following Old Testament passages: Ezek. 20:33-38; 22:17-22; 36:22-24; 37:1- 14; Isa. 11:11-12; Zeph. 2:1-2 and Ezek. 38- 39 presupposes such a setting. Zephaniah 1:14-18 is one of the most colorful descriptions of "The Day of the Lord," which we commonly call the tribulation period. Zephaniah 2:1-2 says that there will be a world-wide regathering of Israel before the day of the Lord. "Gather yourselves together, yes, gather, O nation without shame, before the decree takes effect- the day passes like the chaff - before the burning anger of the Lord comes upon you, before the day of the Lord' s anger comes upon you." Ezekiel 20:33- 38 speaks of a regathering, which must take place before the tribulation. The passage speaks of bringing the nation of Israel back " from the peoples and gather you from the lands where you are scattered, with a mighty hand and with an outstretched arm and with wrath poured out" (Ezek. 20:34). " With wrath poured out" is a descriptive reference to the tribulation. Thus, in order this to occur in history, Israel must be back in the land before the tribulation. This passage clearly says that it is the Lord who is bringing them back. The current nation of Israel is in the process of fulfilling this passage. In a similar vein, two chapters later, Ezekiel receives another revelation about a future regathering of national Israel (Ezek. 22:17- 22). This time, the Lord is " going to gather you into the midst of Jerusalem" (Ezek. 22:19). Like the metallurgist, the Lord will use the fire of the tribulation to purge out the unfaithful. The Lord is going to " gather you [Israel] and blow on you with the fire of My wrath, and you will be melted in the midst of it" (Ezek. 22:21). Once again, " My wrath" depicts the time of the tribulation. It also follows here that the nation must be regathered before that event can take place. The outcome of this event will be that the nation " will know that I, the Lord, have poured out My wrath on you" (Ezek. 22:22). For this to occur, there must be a regathering by the Lord of Israel to the land, just like we see happening with the modern state of Israel. God is at work through the current state of Israel. Surely, anyone who claims to believe in a national future for Israel would have to say that the valley of dry bones prophecy in some way, shape, or form relates to modern Israel (Ezek. 37:1- 14). The prophet describes a future process through which the nation of Israel will come to be reconstituted and (when the process is complete) enter into a faithful spiritual relationship with the Lord. This multi stage process must surely include the current nation of Israel, in unbelief, that is being prepared to go through a time that will lead to her conversion to Jesus as their Messiah. This is said by Ezekiel to be a work of the Lord (Ezek. 37:14). Thus, the modern state of Israel is a work of God and biblically significant. Many passages in the Bible speak of Israel' s regathering, in belief, at the end of the tribulation, in conjunction with Christ' s second coming, in preparation for commencement of the millennium. These references are not being fulfilled by the modern state of Israel. Some of the citations include: Deut. 4:29-31; 30:1-10; Isa. 27:12-13; 43:5-7; Jer. 16:14-15; 31:7-10; Ezek. 11:14-18; Amos 9:14-15; Zech. 10:8-12; Matt. 24:31 and many more. I think that this regathering will fulfill the Feast of Trumpets (Rosh Hashanah) for the nation of Israel. Matthew 24:31, records a future regathering of Israel, this time in belief. " And He will send forth His angels with a great trumpet and they will gather together His elect from the four winds, from one end of the sky to the other" (Matt. 24:31). This is said to take place after the tribulation (Matt. 24:29), which would be the second coming. 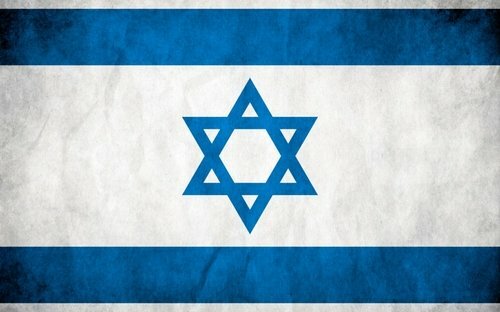 The fact that the last fifty years has seen a world-wide regathering and reestablishment of the nation of Israel, which is now poised in just the setting required for the revealing of the Antichrist and the start of the tribulation, is God' s grand indicator that all of the other areas of world development are prophetically significant. Dr. Walvoord says, Of the many peculiar phenomena which characterize the present generation, few events can claim equal significance as far as Biblical prophecy is concerned with that of the return of Israel to their land. It constitutes a preparation for the end of the age, the setting for the coming of the Lord for His church, and the fulfillment of Israel's prophetic destiny. It is true that the Bible predicts a future time when Israel will be regathered in belief and will then enter into the kingdom for a thousand years. However, as I have demonstrated above, the same Scriptures also tell us of a time when Israel will be regathered in unbelief, before the tribulation in order that God may complete His plan for national Israel. The current nation of Israel is the beginning of fulfillment of just such prophecy. Modern Israel is the result of God' s direct intervention in history. I believe that those who speak contrary to this will be found to be fighting God. Maranatha! Taken from The Journal: A Summit Ministries Publication (September 2002), p. 7. Personal letter from Gary North to Peter Lalonde, April 30, 1987. Don Matzat, " The Great Premillennial HOAX," Issues, Etc. Journal (Internet edition, www.issuesetc.com/resource/journals/v1.htm). Mark Bailey, " The Lord' s Land Policy in Israel," Veritas (Vol. 2, No. 3; July 2002), p. 4. Bailey, " Land Policy, p. 6. Arnold Fruchtenbaum, Footsteps of the Messiah: A Study of the Sequence of Prophetic Events (Tustin, CA: Ariel Press, 1982), p. 65. John Walvoord, Israel in Prophecy (Grand Rapids: Zondervan, 1964), p. 26.